StandUnited | Take a Stand. 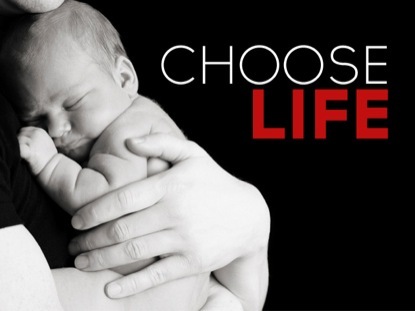 Make an Impact | Petition | Protect Our unborn children! Conservative Legislators : Protect Our unborn children! We must protect our unborn children! We must at a minimum, pass a nation wide "heartbeat" bill! This could be a start to repealing Roe Vs Wade. Require Doctors to check for a heart beat, and if present the abortion can not be done! We must make a stand! Christians, we have no choice!!! We the people, are sick and tired of the government shoving legislation down our throats that does not line up with what we believe and desire as a country. We do not want a few legislating for the many. We desire to be heard. Its time we see you do, what we elected you to do!! It is time to create/write a bill that protects the unborn, and not strip away any rights to life they have. Our unborn children are helpless, and need someone to look after their rights. Until we can overturn Roe vs Wade, please legislate a bill in some capacity, such as the "Heartbeat Bill". If 2016 has not taught you anything, we are tired of the same old tricks and lies. DO WHAT WE ELECTED YOU TO DO!! Or you will find yourself back in civilian life real fast!! We still have that right, the right to vote, at least for now! We demand to be heard. We were a christian nation, please respect our desire. We will be heard one way or another. Thank you to any legislators that have been already working for the rights of the unborn, and for those who now decide to take up the fight If you fight, we will always have your back! God bless you and God bless the United States Of America! !